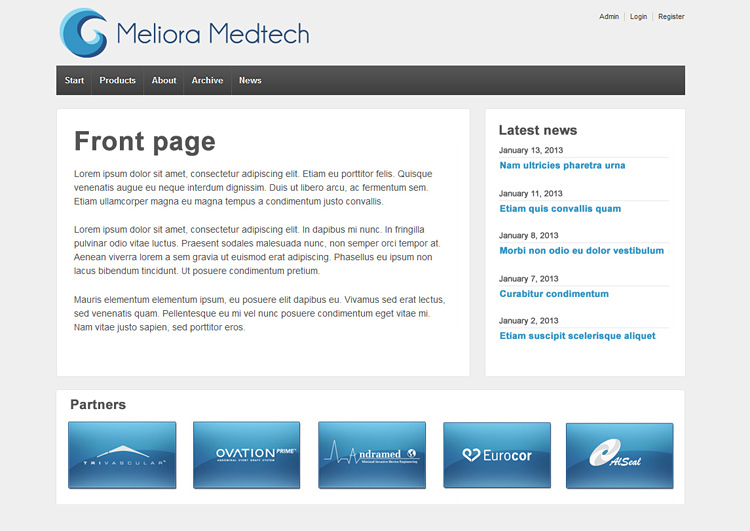 Newly finished project for Meliora Medtech. Fresh, clean and crisp like the frost here up in the Nordic countries. A modern WordPress theme that will adapt to your screen size. Optimized for smart phones and tablets as well as computer screens. The project also included a re-vamp of the company logo and a customized map of Europe.